One of the most popular attractions in Chiba, the Chiba Zoological Park is a spacious home to many animals. The Zoological Park is comprised of seven zones, and maps provided at the entrance make navigating the area easy. The seven zones are- The Zoological Hall (houses the Information Desk and nocturnal animals, marmosets and tropical birds), the Small Animals Zone (home to red pandas), the Steppe Zone (home to elephants, giraffes, zebras and other herbivores), the Children’s Zoo (petting zoo), the Monkey Zone, the Ancestors of Domestic Animals Zone and the Avian and Aquatic Zone. Plan your day to include animal feeding schedules. Eateries and food stalls present within the zoo. How popular is Chiba Zoological Park? People normally club together Chiba Port Tower and Chiba Shrine while planning their visit to Chiba Zoological Park. People also prefer to start their day with Chiba Zoological Park. Compared to zoos in Japan and other counties, Chiba zoo might seem a little small and not well kept. However, the entry price has been raised recently and there seems to be some renovation and redevelopment going on, which I hope will lead to much needed improvement for the animals. This is a good family day out. It's also cheap as adults are 700 yen and children (including up to high school students) are free. 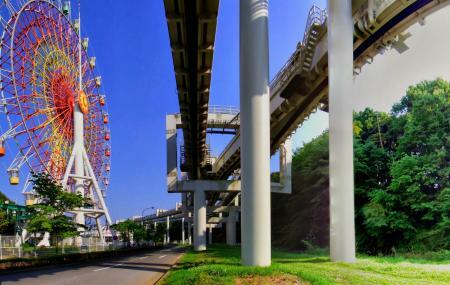 It's easy to get there by public transit - the Chiba City Monorail stops right there - and there is plenty of parking. There are a lot of older exhibits that are too small for the animals and the poor elephant isn't doing well, but they've been improving sections gradually over the last few years with more modern enclosers and more domestic animals. There are several petting zoo type exhibits that give children a chance to interact (and clean up after) sheep, goats and other farm animals. Some of these are free, but others cost money. In addition to looking at animals in cages, there are a variety of educational events and non-zoo activities such as bouncy castles, art projects, small children's rides and several other things. Two recommendations. First go early. Many of the animal are much more active in the morning. It's the best time to see the lions and many of the other large animals awake. In adition to that, bring a picnic lunch. They have a few food options, but they're expensive and not great. However there is a lot of space to set up and eat a nice picnic. It was nice that there very few people and it allowed us to see the animals and breathe a little. The zoo itself feels a little run down. Very enjoyable visit, with many interesting animals and a children's zoo. Conveniently accessed via the monorail. Note that it is not open on Wednesdays.